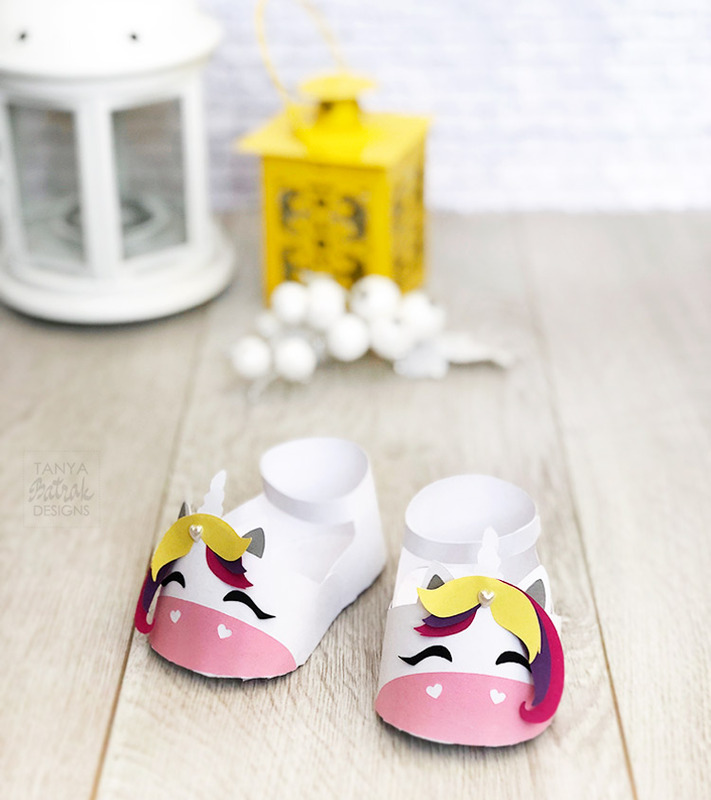 These adorable unicorn baby shoes are perfect for you unicorn themed baby shower or birthday party. You can cut the from paper as I did, or use the fabric or felt to make the real small shoes. 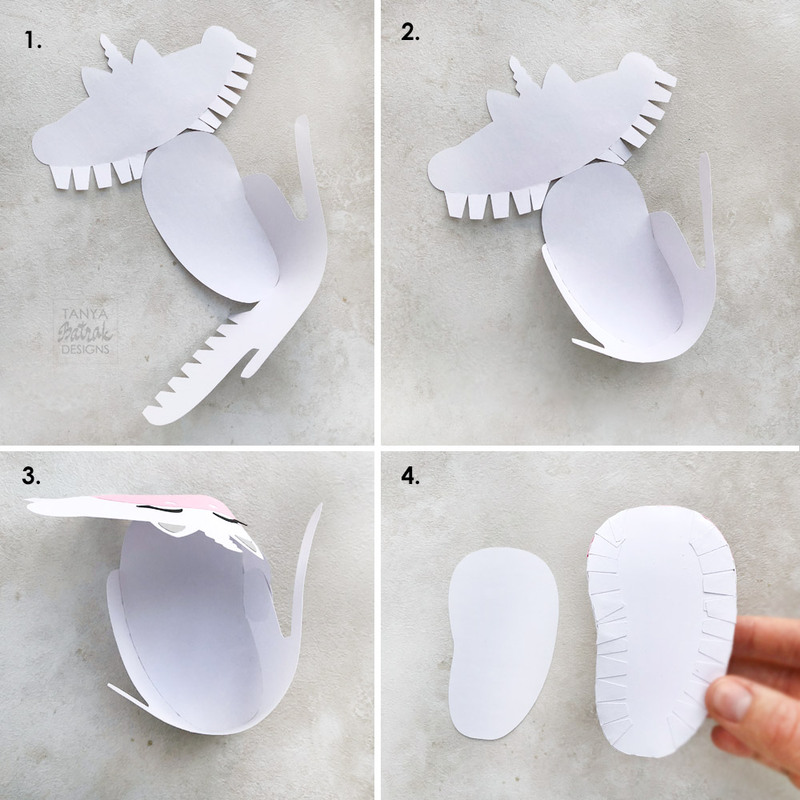 Or you can even use this template to cut shoes from fondant to make super cute cake topper! First adhere the pink nose and the eyelashes. These paper shoes I made two years ago :) These ones are also were designed for Silhouette Design Store.